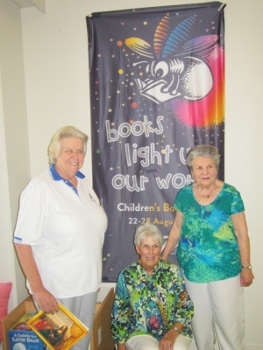 The community projects program of the Queensland Branch of the CBCA was the brainchild of the late Kaye Throssell and commenced operating in the early 1990s. Kaye’s vision was to donate books to organisations and groups who provide services to children and young people who suffer from some form of disadvantage. After consultation with the staff or volunteers of a particular organisation, appropriate books are acquired and presented ready for use. The program generally targets four different groups in a year, and has aided children in a range of needy circumstances, including those affected by the 2012 floods in Bundaberg and Laidley, Project Love and Care, women’s refuges, and children’s hospitals. The projects have had a largely south-east Queensland focus, and while there is great need in this part of Queensland, it has been suggested that the Branch widen its attention to include regional areas. There must be children’s support groups throughout Queensland that could benefit from the donation of quality books, so here’s the challenge to members outside of the south-east. If you know of a children’s support group and are willing to take on co-ordinating a project to distribute books, then I am very keen to hear from you. Please email me at the address below as soon as possible with details of the group that is struggling, supports children and/or young people up to the age of 18 and could benefit from books, along with your contact details. I will then take these to the management committee for consideration. It would be great if we can take the vision of Kaye Throssell to disadvantaged children throughout Queensland. Please be involved if you can. In 2016 we chose to help Hummingbird House, Queensland’s only children’s hospice, which opened on October 7, and the new Ronald McDonald House at South Brisbane that was opened by the Governor-General Sir Peter Cosgrove a month later. Both of these facilities serve children from birth to 18 years from across Queensland and northern New South Wales. The former received 80 books and treasure trove of artwork generously given by children’s book illustrators - the latter 690 books, book bags and Book Week materials which was valued at just over $10,000. This year we aim to support Save the Children Australia with books being purchased and collected for children mainly in regional areas. These will be children being accommodated in domestic violence refuges, attending mobile play scheme vans for those under 6 years, and participating in literacy programs organised by their day care centre at Doomadgee in far north western Queensland. Please email using the contact on this page if you would like to become involved. Donations of suitable books that are in new or as new condition would be appreciated. Community project workers (left) L to R: Judy Russell, Shannaen Kenney and Coralie Ross at Ronald McDonald House. 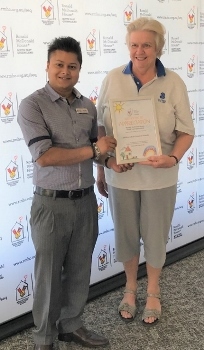 Certificate of appreciation being presented by Ripesh Gupta (Ronald McDonald House staff) to Judy Russell (Queensland Branch of the CBCA) (below). 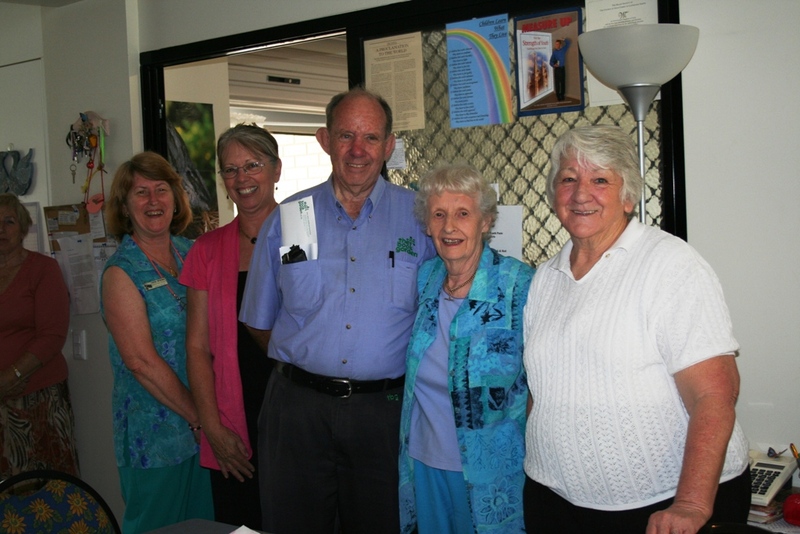 The image below was taken a few years ago, when John Moffatt (centre), and Kaye Throssall (second in from the right) presented a selection of books to Project Love and Care.